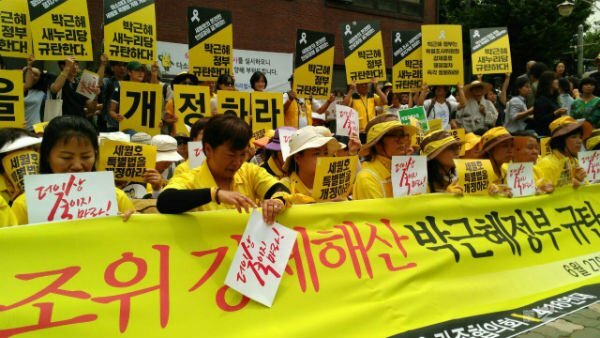 The Committee of the Families of the 16 April 2014 MV Sewol Ferry Disaster Victims (or the 4.16 Families Committee) have urged the government of the Republic of Korea to stop trying to stop the investigative work of the Court of Inquiry about the sinking of the Japanese-built Sewol Ferry. These family members who seek the truth and justice have been demonized or misrepresented in the South Korean media because of their opposition to the behaviour of South Korean authorities. 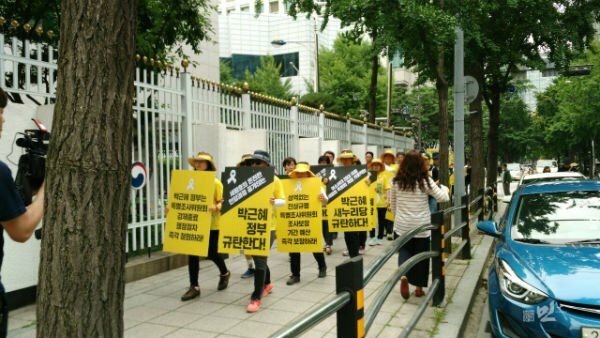 Many of the family members of the victims of the Sewol Ferry Disaster and other South Koreans either suspect the government of South Korea or its National Intelligence Service (NIS) of being involved in fowl play. The South Korean government assisted Chonghaejin Marine Company Ltd. favourably and has worked to conceal the events that took place. 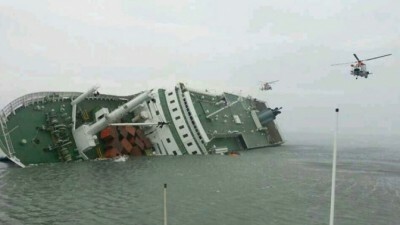 Even more incriminating, two documents provide circumstantial evidence that suggests that the NIS may have owned the ship and used Chonghaejin as a front and may have even been involved in the sinking of the Sewol. Unlike the rest of Chonghaejin’s passenger ferry fleet, the emergency protocol and instructions of the Sewol and the MV Ohamana, another ship owned by Chonghaejin, oddly list the NIS as the agency to contact instead of the coast guards. A computer found on the Sewol also possessed a document that listed hundreds of items, such as ceiling paint, vending machines, and recycling bins, that the NIS had catalogued for repairs or maintenance work. The NIS confirmed this as true by explaining that the intelligence agency had ordered the repairs on the MV Sewol for security purposes. This, however, could not explain why the NIS demanded memos about the vacation plans of the ferry’s crew and reports about their wages. The following is an account published by the South Korean news outlet MinPlus about the saga of the families of the victims of the MV Sewol Ferry Disaster against the attempts of the South Korean government to whitewash and end the investigation of the MV Sewol Ferry Disaster. Mahdi Darius Nazemroaya, Asia-Pacific Research Editor, 3 July 2016. The families and members of various civic organizations started a sit-in on June 25, 2016. Their sit-in took place on the street in front of the Seoul Government Complex at Gwanghwamun Gate. 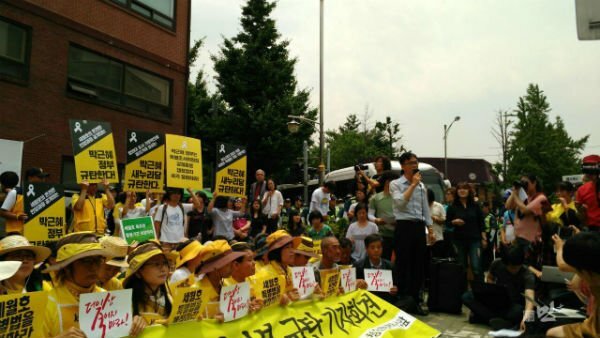 On June 27, they marched to the front of Chungwoon-dong Community Service Center and held a press conference, and went back to the site of their sit-in on the street before the Government Complex. The South Korean government has interrupted the investigation of the Inquiry for over one year using different excuses. Trying to prevent the press conference, on the night before the police forcefully seized the tent and shade canopy at the sit-in on the street in front of the Seoul Government Complex. The police insisted that the positioning of the items were not reported to the police in advance and then forcefully detained four of the family members of the victims of the MV Sewol Ferry Disaster. Afterwards, the police would confiscate a rug that the families of the victims brought to the press conference in the morning. This was done with one policeman swiftly taking the rug and sprinting away while other policemen blocked the family members of the victims form being able to pursue him. 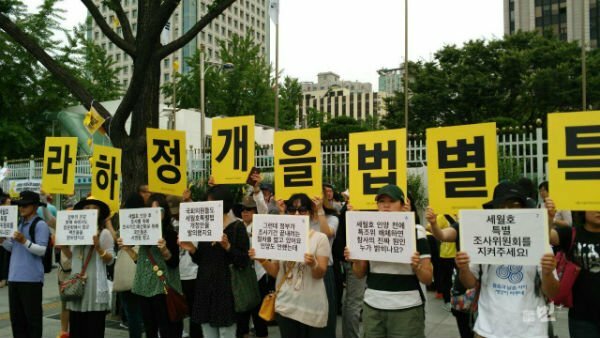 “Although we had clearly notified the Seoul Police Agency about our sit-in in accordance with the Law on Assembly and Demonstration, the police obstinately broke into the place and acted violently,” the 4.16 Families Committee and the People’s Alliance of 4.16’s Promise clarified. They also demanded that the authorities apologize and that the police release the four family members that were detained. This article has been edited by Asia-Pacific Research.